On December 26, as much of the world continued its celebration of the Christmas holiday, Japan issued a statement. It made three points: we will leave the International Whaling Commission; we will nonetheless be commercial whaling in the North Pacific; and we will stop whaling in the Southern Ocean around Antarctica. That last element understandably prompted some celebration by those that had been campaigning long and hard to get the whalers out of this very special ocean zone. Of course, we cannot peer into the future to see if Japan will maintain this position – but the thought that Antarctic seas will be free from flying harpoons for the first time in centuries is more than worth raising a glass to. However, the other elements in the announcement are deeply disturbing. The whole history of commercial whaling is one of relentless exploitation, where the bodies of millions of animals were mined for the precious oil held in their tissues. In various phases, whaling fleets, first under sail and then motor-driven, moved out around the world. One whale population after another was driven to the edge of extinction. Many countries, including the UK, took part in this slaughter. At one point in time our streets and homes were lit with whale oil, which also lubricated the printing presses and other machines of the industrial revolution. No one cared much about the animals concerned because, for centuries, almost only the whalers ever saw them. Few witnessed the silent agony, blood and gore and even fewer had an insight into the suffering of the animals. Come the twentieth century, it had become clear that whaling was not sustainable, and the whaling nations were forced to think seriously about how to share this dwindling resource. From this came the IWC, founded via the 1946 International Convention for the Regulation of Whaling. But it is worth re-emphasising that the IWC went on for some years failing in its basic mission. Despite gathering the appropriate countries into its membership, including Japan a few years after its foundation and trying to set rules, managing this lucrative business on the high seas (where so much can be done out of sight) just proved too difficult. So, in 1982, the IWC declared a total ban on commercial whaling. Japan, Norway and Iceland never accepted this and have fought against it ever since. Nonetheless, the moratorium on whaling worked to a significant extent. It helped keep whaling down and some populations have started to recover. For decades, Japan’s whaling has been presented as scientific research. There is a clause in the old convention that allows member countries to take whales for research purposes. 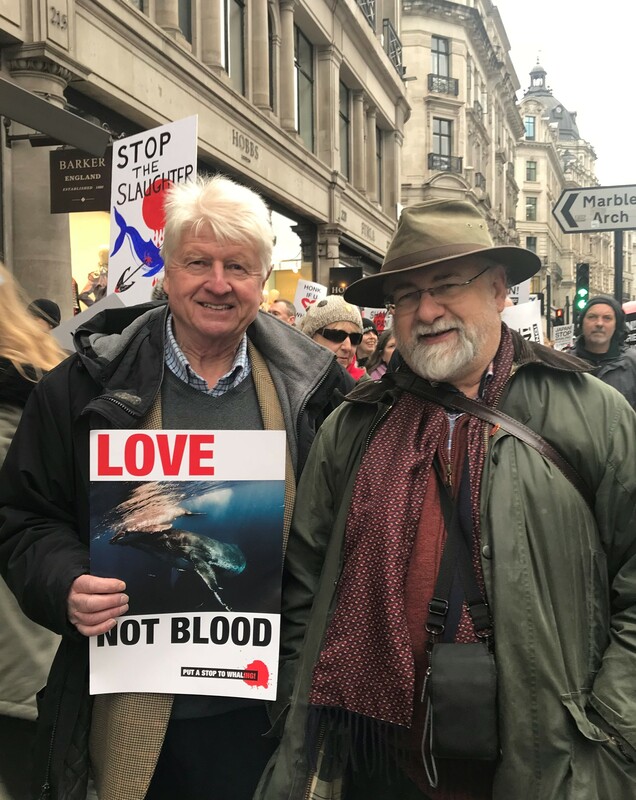 Research whaling quotas are unilaterally decreed by the country concerned and the only requirement in the convention is that whales taken for such research should be fully utilised. This has allowed Japan to place smoke and mirrors around its whaling, which has been ongoing in both the Southern Ocean and the North Pacific. When Japan says it will start commercial whaling, what this really means is that it will continue commercial whaling. The difference is that now it will whale without any reference to the IWC at all. Its primary argument is that the IWC is unjustly maintaining the moratorium whilst whaling is perfectly sustainable. This is acutely dangerous to whale populations worldwide, because if Japan gets away with this, other countries may follow, bringing the potential for another whaling free-for-all in our oceans. Mark Simmonds OBE, Chair of the Whales Working Group and Senior Marine Scientist at Humane Society International.